Home » Bitcoin News » Are People Still Underestimating The Potential Of Bitcoin? Are People Still Underestimating The Potential Of Bitcoin? Despite massive price increases in recent times, an investment expert has said that people are still underestimating bitcoin. The person who made this claim is Peter Thiel, who is a billionaire American venture capitalist and investor. He is one of the co-founders of PayPal and previously worked as Chief Executive Officer of the payments firm before it was sold to eBay in a massive deal. He made his comments on this matter at the Future Investment Initiative, which was held in Riyadh in Saudi Arabia. During this event, Mr Thiel said that he is still “sceptical of most” cryptocurrencies but that he believes that a lot of people are “underestimating bitcoin”. He went on to compare the digital currency to gold, in that it is “just a store of value” rather than something that is solely used to make payments. He carried on by saying that bitcoin still has great potential left if it becomes an alternative option to investing in gold. The wealthy investor then pointed out that bitcoin is secure and can’t be hacked, because it is backed up by the “security of the math”. In addition, he pointed out that it is more constrained than gold because it is harder to mine than the precious metal, with only 21 million units ever going to be mined before the entire supply runs out. Of course, leading financial figures have recently come down on both side of the argument, for and against bitcoin. 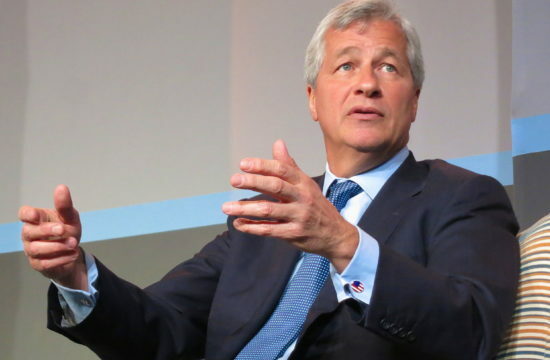 While people such as JPMorgan Chase CEO Jamie Dimon and Saudi investor Prince Alwaleed are bitcoin sceptics, others such as former hedge fund manager Michael Novogratz have been far more positive about the future of the digital currency. Will Payment Transactions Volume Increase Soon? Previously Mr Thiel had been critical of the ability of bitcoin to be used as a payment method. Back in 2014 he had said in an interview that he would only become less sceptical of the currency once he had seen the volume of payment transactions increase. On that very subject, there are rumours that Amazon is going to be accepting bitcoin as a payment method before too long. These rumours have been around since September and are now apparently coming from sources out in Silicon Valley. This was reported in the German newspaper Welt recently. Similar claims came last month from investor James Altucher. A date of 26th of October had been mentioned for this big development, although it isn’t clear where that date came from. When Welt asked Amazon about the story they said that they couldn’t comment on speculation but that they only add new products and services “when these are useful for our customers”. Amazon adopting bitcoin as a payment method would be a huge event that would be another step on the road to mainstream acceptance of this cryptocurrency. If the online retail giant begins to accept bitcoin then it seems certain that others will follow suit, which would almost certainly lead to a great level of demand and a price increase.